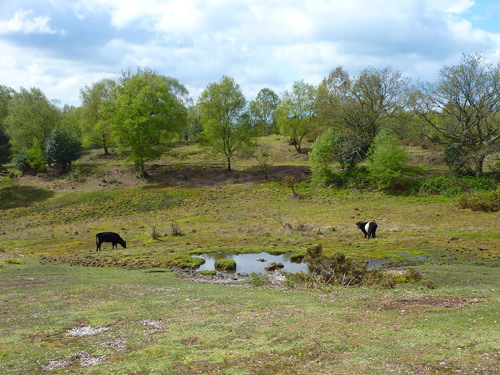 Harry has a cut pad which forces us to short walks on grassy lawns so we choose Gorley Common for our morning and afternoon walk. 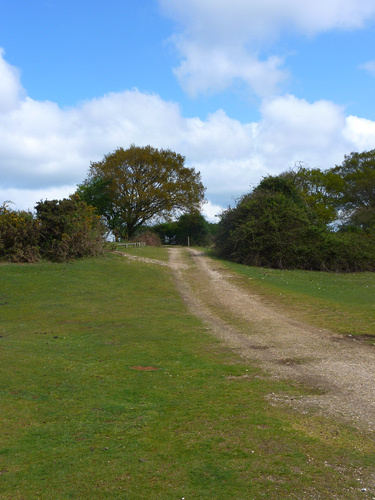 The main path across the old gravel pit that makes up a large part of Gorley Common – we tiptoe across this because of Harry’s cut pad! 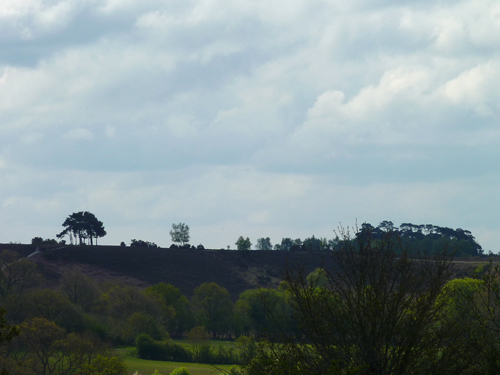 A view across to Ibsley Common showing Robin Hood’s clump to the left and Whitefield Plantation to the right, both very recognisable groups of trees. 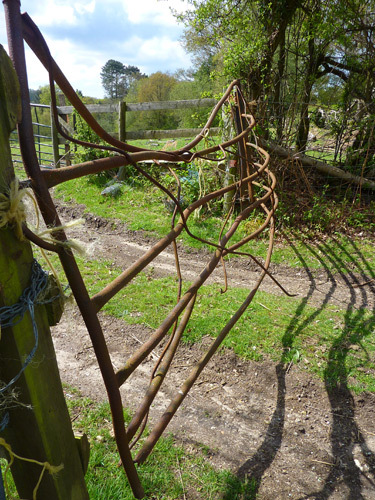 As we skirt the edge of the common along the tops of fields we come to this wonderfully bendy gate. I can’t help wondering how it came to be this shape, but it’s obviously still serviceable. A couple of Galloway cows nose for choice specimens around in this upland bog – dry for this time of year. 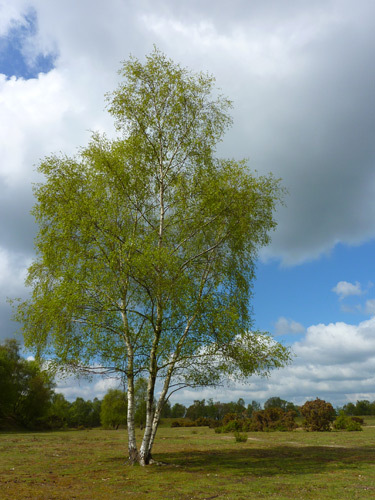 A fine spring cloacked birch backed by a beautiful sky. A puzzle. 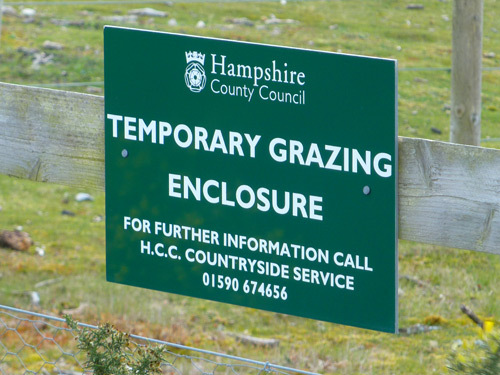 These signs are on a fenced area denoting temporary grazing…. 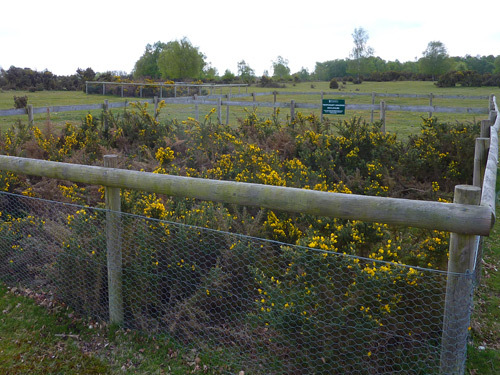 …thing is, the whole enclosure is so small, split in half, one with nothing but grass, the other full of gorse. I’d love to know what grazes here!!! 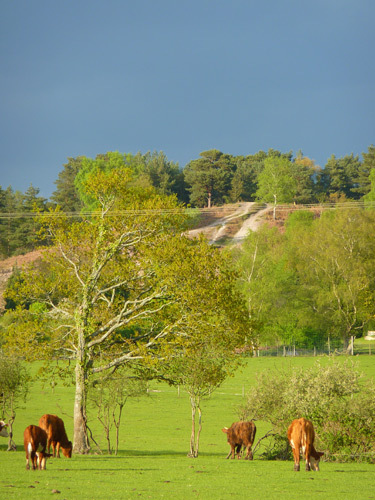 In the afternoon, I stop on the drive back to Gorley to take this picture of the disc barrow above Moyles Court bathed in late afternoon sunshine against a backdrop of a very brooding sky. The telephone lines spoil it a touch, but the colours were too good to miss. 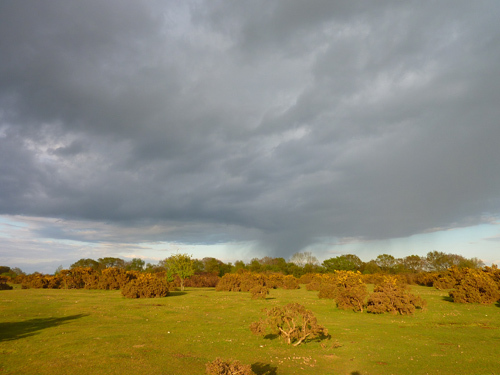 Back up on Gorley Common, those brooding skies are starting to become a little more meaningful. 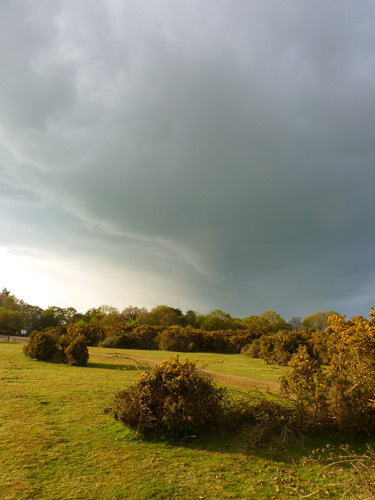 The cloud starts to break into meaningful showers over towards the village of Hyde. 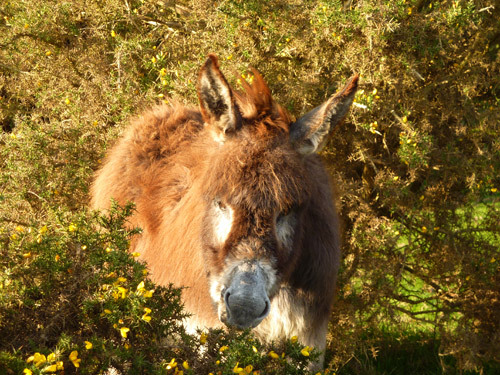 The sunshine from the west is still strong as a donkey nibbles on the gorse. 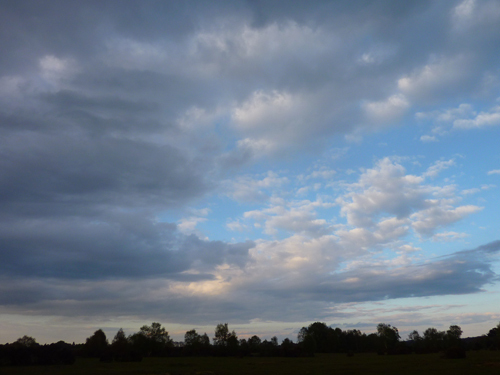 The changeable weather over the Gorley skyline. 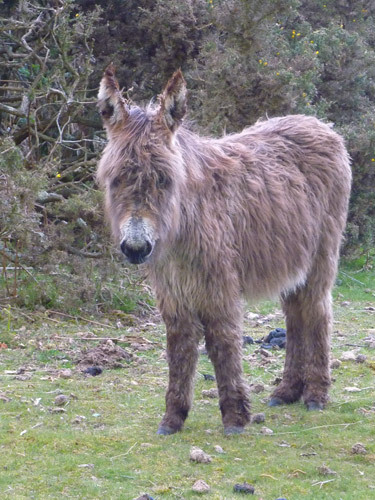 Another little donkey, still shaggy in a winter coat. 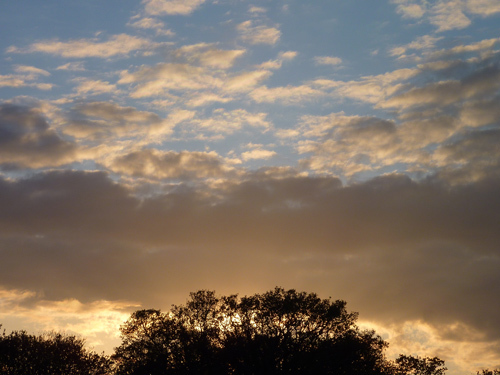 Into the west, the sun sinks. 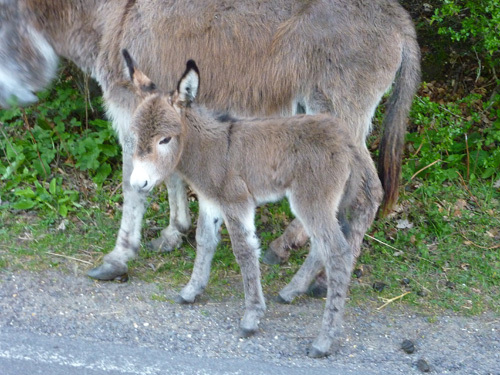 As we head home in the car I spot this brand new donkey foal. I haven’t seen one pony foal yet this year, donkey foals are usually born much later than the ponies!